How can you overcome your insecurities, build up a healthy relationship, face your fears? 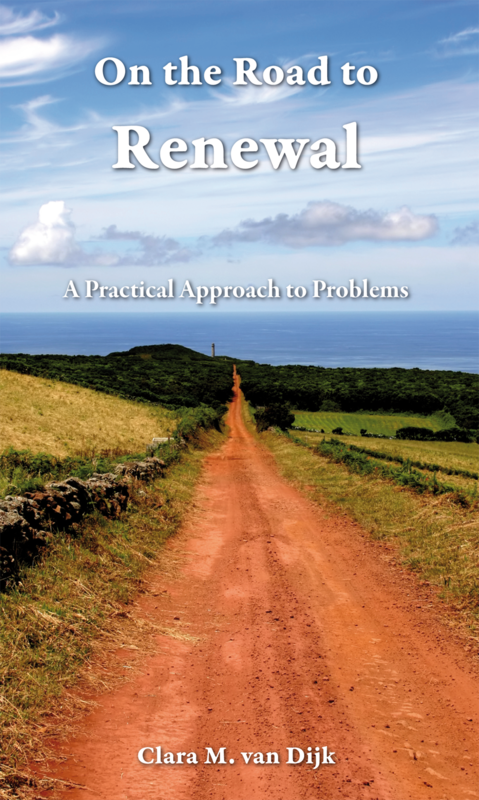 In her book On the Road to Renewal, a practical approach to problems, Clara VanDijk guides you towards an alternative path and answers a myriad of questions along the way. Clara wrote this book using her own life experiences and knowledge of the Bible. As soon as this page receives 100 likes, one ‘liker’ will receive a free printed copy of Focus Braintrainer with the Bible. Please make sure you like the page for a chance to win this wonderful book! Liking our Facebook page will also increase your chances of winning future free books. This week I have been busy setting up the Facebook page for English language books available through Importantia Publishing. This is mainly to raise public awareness of Importantia Publishing, as well as to bring increased attention to the books we publish. You are welcome to give it a look. I appreciate if you give this facebook-page your Like. I am also looking into the the world of reviewing. I know that many people enjoy writing reviews about books and place these on their blogs, church websites, literary sites or Amazon. I then realised that some of this newsletter’s readers might review books themselves. If you are, I would love to know more. If you happen to enjoy writing an occasional book review, I would be extremely happy if you could contact me via the contact form on importantia.eu. 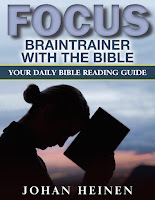 The kindle edition of this great help in daily bible reading is available for free for another day. This Amazon offer ends Sept 11 in the evening. Take care you obtain your free ebook. In return you help us and others if you write your objective and honest review at Amazon. Link to Amazon for your free Kindle-edition. The Online Bible has build a very large users-group in the French language. Most of these users live in Africa and have no or little money to buy or support the developmentcosts. To support the french speaking users we have setup a project to make an extra french Bible available free of charge in the Online Bible app: La Sainte Bible de Crampon 1923. This is a copy of the new Online Bible app newsletter by Cross Link Services. subscribe to their newsletter in the Online Bible app. You subscribed for the Online Bible newsletter from within the Online Bible app. With this newsletter we keep you informed with tips and best practices, new possibilities, updates and new available titles. This newsletter is mailed once a month. Did you know you can use the Online Bible app on several devices at the same time? If you use a tablet and a mobile phone you can install the Online Bible app on both devices and link them to the same user-account. Your titles are available on both devices. It doesn’t matter you use a combination of Android and iOS devices. Handy in case you use an Android phone and an iPad. So in case you obtain an extra Bible version from the Store it becomes available on all your devices. The Online Bible app is developed by Cross Link Services BV in the Netherlands (Europe). In the future newsletters we will inform you about the people and organisations behind the Online Bible app, what their mission is and what they are doing. The Message - The Bible in Contemporary Language. The Message is written by Eugene Peterson to make the original meaning of the Bible more understandable and accessible to the modern reader. The Message is an idiomatic translation of the original Hebrew and Greek text. Peterson uses a contemporary slang from the US rather than a more neutral International English, and the translation falls on the extreme dynamic end of the dynamic and formal equivalence spectrum. For use with the Online Bible this edition has been numbered (as far as possible). The Message, Copyright © by Eugene H. Peterson 1993, 1994, 1995, 1996, 2000, 2001, 2002. Used by permission of NavPress as represented by Tyndale House Publishers, Inc. All rights reserved. An authoritative Bible translation, rendered faithfully into today's English from the ancient texts by 90 leading Bible scholars. The NLT's scholarship and clarity breathe life into even the most difficult-to-understand Bible passages - but even more powerful are stories of how people's lives are changing as the words speak directly to their hearts. That's why we call it: "The Truth Made Clear." Holy Bible, New Living Translation, copyright © 1996, 2004, 2007, 2013 by Tyndale House Foundation. Used by permission of Tyndale House Publishers, Inc., Carol Stream, Illinois 60188, USA. All rights reserved. Copyright © 2016 Cross Link Services B.V, All rights reserved.